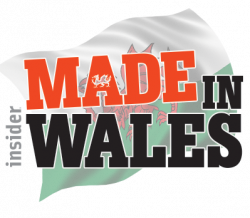 Biocatalysts Ltd is proud to be shortlisted in two categories in the prestigious Made in Wales Awards 2018. The categories are Sustainable/ Ethical Manufacturer Award and Manufacturer of the Year ( under £25M). The environment has always been important to Biocatalysts with the company achieving ISO 14001 accreditation in 2012 – the international standard for environmental management – and maintaining it ever since. In 2014 the BioBox, a 100% recyclable blue box, was introduced to Biocatalysts customers as their new enzyme packaging. This move to fully recyclable packaging was well received by customers and sparked the drive for the company to continue to reduce its impact on the environment. Alongside Biocatalysts fulfilling its social responsibility, the company is also striving to contribute to the Welsh economy. It was recently announced that Biocatalysts are significantly investing in their manufacturing facilities at Nantgarw, South Wales. This £6 Million investment will see state of the art technology and custom manufacturing equipment installed in 2019 which expand the company’s manufacturing capacity and capabilities. It will also create a number of new job opportunities and secure Biocatalysts as one of the leading biotechnology companies in South Wales.